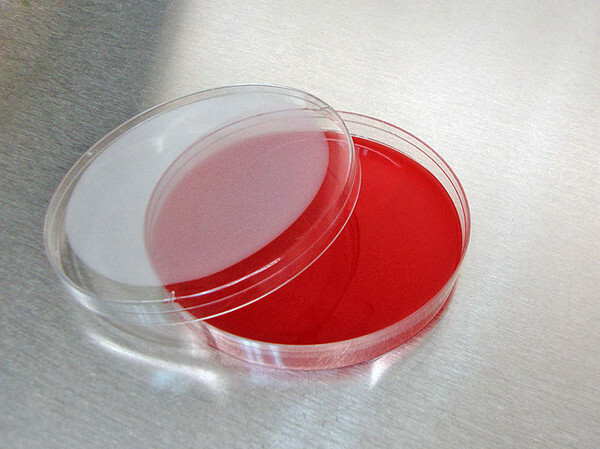 Blood agar is a type of bacterial growth medium. It is primarily used to grow fastidious microorganisms like Streptococci. Such organisms do not grow well using ordinary growth medium. Picture 1: The Petri plate contains a blood agar medium. Picture 2: A blood agar containing 5% of sheep blood. Prepare the base as per the manufacturer’s instruction. Autoclave for about 15 minutes at 121 degree Celsius. Transfer the blood agar base to the water bath at a temperature of 50°C. Once the base has cooled down, start adding sterile blood agar (5% of defibrinated blood) and mix well to prevent the formation of air bubbles. Dispense about 15 ml to a sterile petri plate. Store the plate at 2 to 8 degree Celsius in a sealed plastic bag. What is blood agar used for? It is used to isolate and identify antimicrobial susceptibility of Streptococci. It is used to isolate and cultivate Streptococci, Neisseria, and fastidious microorganisms. 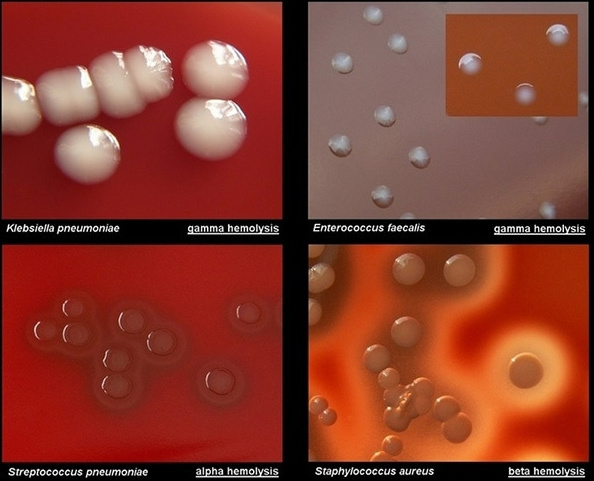 Blood agar helps differentiate bacteria based on their haemolytic properties. It is used to prepare Salmonella typhi antigens. It determines the salinity range of marine Flavobacteria. Blood agar base can be used for testing food samples as per the recommendation of APHA. Picture 3: A blood agar showing different kinds of hemolysis and the bacteria strain that grows in it. Picture 4: Three petri plates with different types of hemolysis. Some species of bacteria produce extracellular enzymes which have the ability to lyse red blood cells in the blood agar. The extracellular enzymes is called hemolysins. It has the ability to destroy cells and release the red component of the blood (hemoglobin) into the medium. To find out if hemolysis has taken place, you should streak for isolation on the blood agar plate. The medium is incubated overnight and will be inspected for any signs of hemolysis. Are blood agar plates selective or differential? 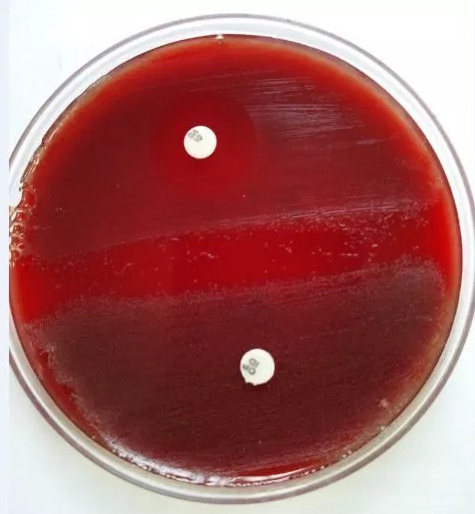 Blood agar is both a selective and a differential medium. It helps detect Streptococcus pyogenes and at the same time helps differentiate the type of hemolysis produced such as alpha-hemolysis, beta-hemolysis, and gamma-hemolysis. What Bacteria grow on blood agar? What is the difference between blood agar and chocolate agar? Blood agar and chocolate agar are quite similar but they differ in preparation. Blood agar consists of many ingredients but the primary ingredient is the blood, which came from a rabbit or a sheep.